Hair oil has been on the scene for a while, but for many, it’s still a pretty intimidating and confusing product. We think hair oil and we envision greasy hair in desperate need of a wash. Yikes! Fear not, friends! Here’s your quick guide to embracing hair oils, which, spoiler alert, help keep you hair gorgeous and healthy– and if used properly, won’t make your hair look dirty or oily at all! How do you pick the right oil? Should you buy the pricier oils or can you get by with the drug store brands? Turns out, it depends on your hair type! General rule of thumb: thick hair, thick hair oil. Fine hair, less viscous hair oil. (Think the kind of thick and frizzy where the dirtier your hair gets, the better it looks.) For you ladies, most oils will have the same effect. They tame the frizz! Even if you overdo it on the hair oil, you won’t look greasy. It’s a fantastic supplement to your regular styling routing and a great sub to a stiff hairspray, if that’s what you typically use to fight frizz. We suggest spending a bit more if your budget permits. 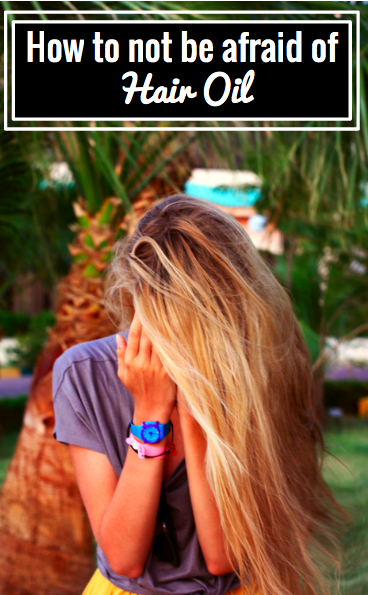 Brands other than Moroccan Oil may clump unpredictably or make your hair look greasy instead of sleek. You can still use the other brands, simply use a bit more sparingly. Serums tend to be lighter and gentler than hair oil. A little goes a long way, but shine or anti-frizz serums should be your go-to over thicker oils so they don’t weigh down your hair or make you look greasy.